While working on EventManager script I've noticed that Get-EventLog is not returning proper values for Maximum File Size. 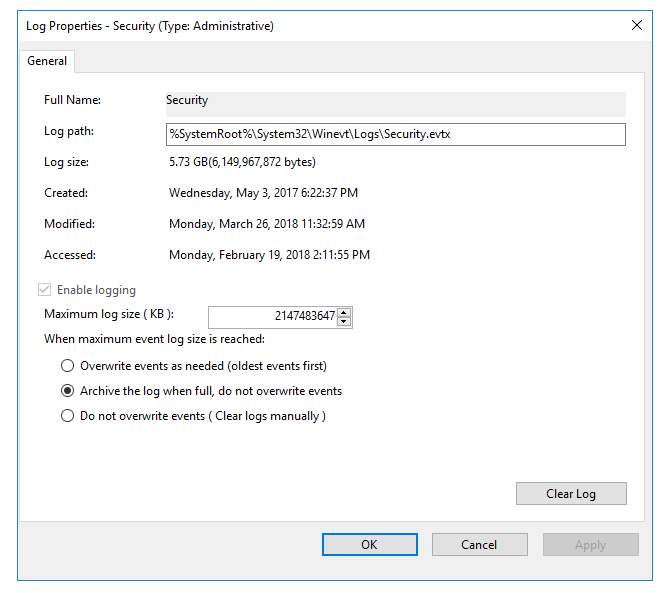 When checking Maximum log size directly it was showing 2TB. But the test methods I used where showing different values. Fortunately there is a way to get proper values. With help of Johan Åkerström who suggested Get-WinEvent I was able to get values I was running for.